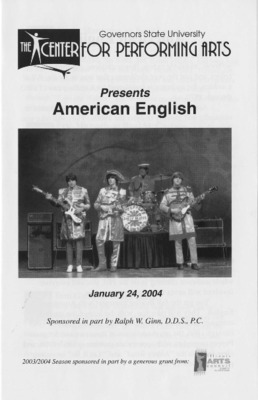 Playbill insert for the January 24, 2004 performance by American English. 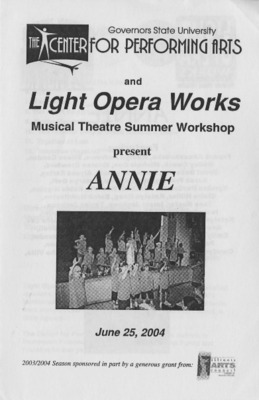 Programs for the June 25, 2004 performance of Annie by Light Opera Works Musical Theatre Summer Workshop and the November 4, 2007 performance by NETworks Presentations LLC. 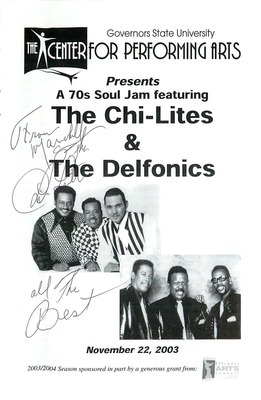 Playbill insert for the November 22, 2003 performance by The Chi-Lites and The Delfonics. 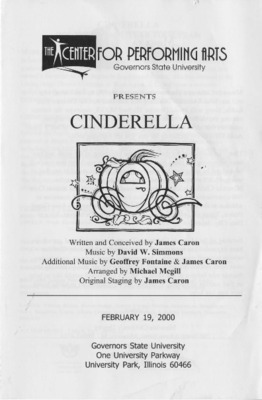 Programs for the February 19, 2000 performance of Cinderella by Missoula Children's Theatre and the January 31, 2004 performance of Cinderella by AlphaBet Soup Productions. 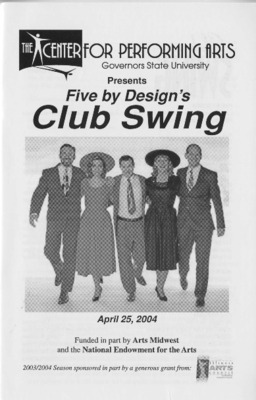 Playbill insert for the April 25, 2004 performance of Club Swing by Five by Design. 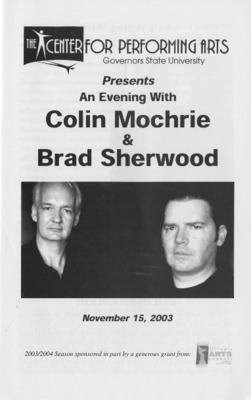 Playbill insert for the November 15, 2003 performance and autographed playbill insert for the February 2, 2008 performance of An Evening with Colin Mochrie & Brad Sherwood. 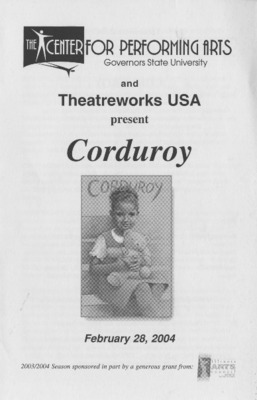 Program for the February 28, 2004 performance of Corduroy by Theatreworks/USA. 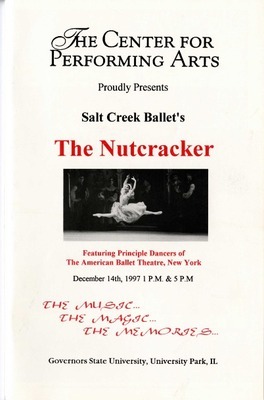 Playbill insert for the May 22, 2004 performance by Dianne Reeves. 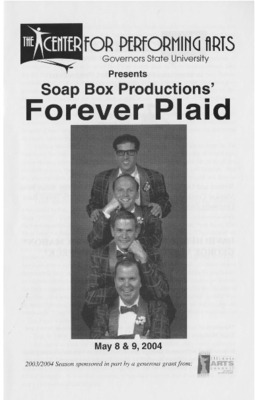 Playbill insert for the May 8-9, 2004 performances of Forever Plaid by Soap Box Productions. 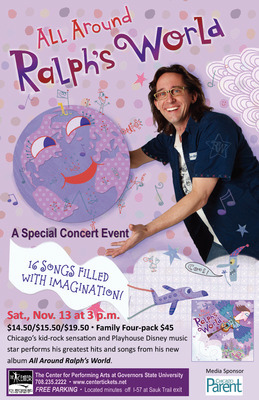 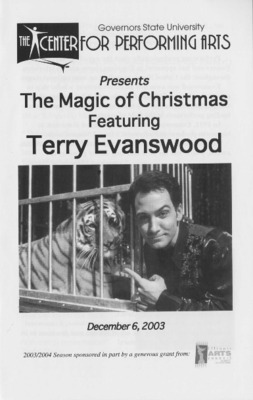 Playbill insert for the December 6, 2003 performance of The Magic of Christmas Featuring Terry Evanswood. 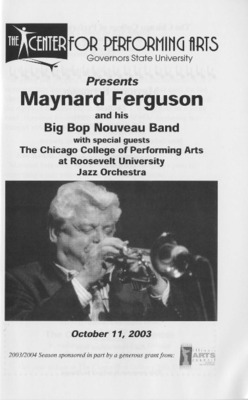 Playbill insert for the October 11, 2003 performance by Maynard Ferguson and his Big Bop Nouveau Band with special guests the Chicago College of Performing Arts at Roosevelt University Jazz Orchestra. 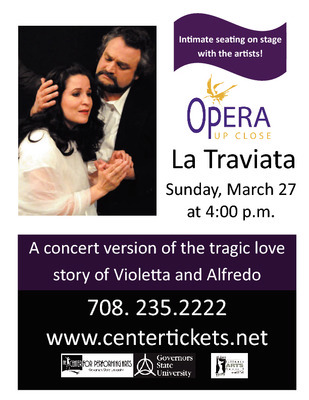 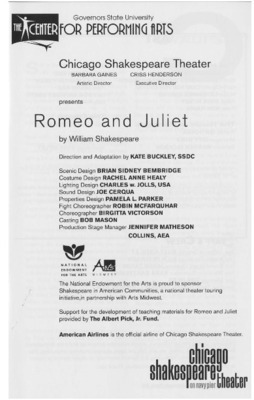 Playbill insert for the October 10, 2003 performance of Romeo and Juliet by Chicago Shakespeare Theater. 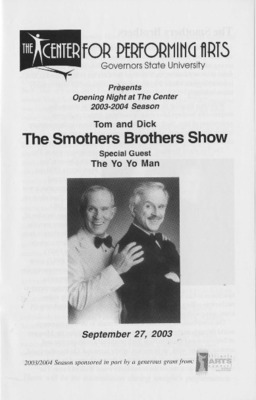 Playbill insert for the September 27, 2003 performance of The Smothers Brothers Show with special guest The Yo Yo Man. 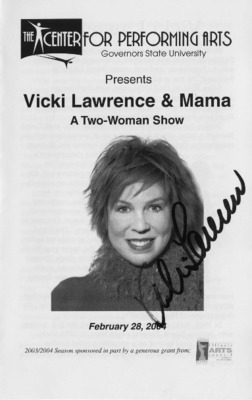 Playbill insert for the February 28, 2004 performance of Vicki Lawrence & Mama: A Two-Woman Show.